Central air conditioning is still the most popular air conditioning system out there. If you have an AC and aren’t sure what kind it is, it’s most likely a central AC. Why? Simply because these systems are affordable, effective, and able to be installed in nearly every kind of home. In other words, it’s the perfect system for someone who doesn’t know a lot about their options but wants something that works. These systems are great for providing an extra level of control and flexibility. Depending on how they’re used, they can either maximize your comfort or maximize your efficiency. This system consists of multiple, indoor air handlers. Each air handler controls the temperature for that area with its own set of controls. Flexible controls can satisfy everyone in the home by allowing them to relax at their own temperatures. When there are less people in the home, the air handlers can simply remain off to save energy. They don’t use ducts, meaning you don’t have to worry about dirty ducts or duct repair. These heat pumps operate much more like a central AC or a furnace. They use a duct system to transport air through the home, providing whole-house heating and cooling at an affordable rate. You want one system for both your heating and cooling needs. You already have a duct system. You’ll be able to save more money using the ducts than you would with installing several air handlers from a ductless system. You want an air conditioner and your heater is close to needing replacement, allowing you to fulfill both needs with one system. An inverter air conditioner can be installed either as a central AC or a heat pump. What makes these systems different is their means of operation. 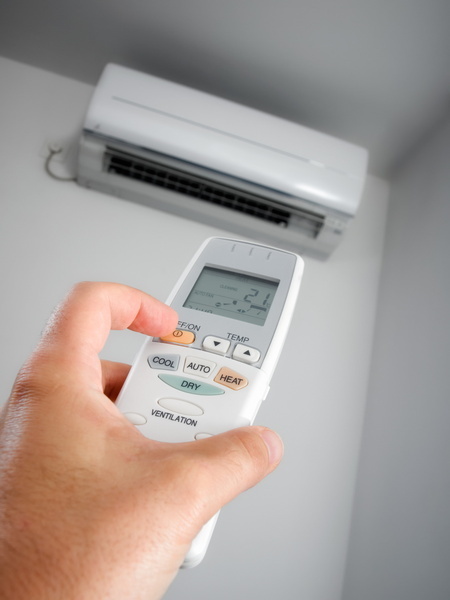 Your normal air conditioner runs at only one speed, meaning it’s either on or it’s off. On the other hand, an inverter AC uses a special kind of compressor to introduces variable speeds. The compressor can operate at a slower speed according to how much cooling power the home needs. You like your central AC but want something more efficient. You can expect the same type of cooling from these systems, but with big improvements in cost and performance. You find your AC to be too loud. Inverter ACs often operate at lower speeds, making them quieter. It has a longer lifespan, given that it doesn’t wear down its parts as quickly by always running at 100% speed. If you need help with your air conditioning installation in Buford, GA, don’t hesitate to reach out to a professional. Contact American Comfort Heating and Cooling today to schedule a service. Bringing Comfort to America, One Home at a Time.